People across Hull and the East Riding are being encouraged to take part in some gentle healthy activity this weekend as a way of saying thank you to those who care for them. Parkrun has teamed up with the NHS to celebrate the health service’s 70th birthday via a series of NHS70 themed 5km events across the country. The NHS70 parkruns will take place at 9am on Saturday 9th June. Well over 300 parkrun teams across the UK have signed up to get involved, with the most local events taking place at Peter Pan Park and East Park in Hull, and at the Humber Bridge. Health experts agree that regular gentle exercise can deliver a whole host of physical and mental benefits for people of all ages. So, to encourage people to think a little more about their own health, and as a means of saying thank you to the thousands of NHS workers who dedicate their lives to caring for others, parkruns across the UK are expected to be awash with blue and white this weekend. 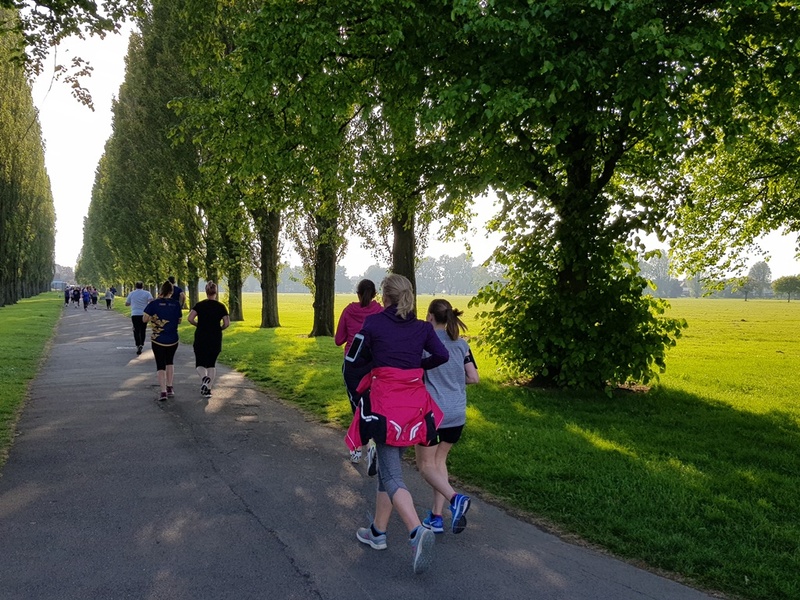 “We know that going along to your local parkrun has a positive effect on both physical and psychological health and that these benefits are seen very quickly. It’s also a great way to make friends and enjoy a strong sense of community. Hundreds of parkruns take place in parks and open spaces across the UK every Saturday morning, staffed entirely by volunteers. They are community-led events, designed for people of all ages and abilities. While some run as fast as they can, others prefer to walk or jog the course, often with children, dogs or buggies. And nowhere could the NHS70 celebration be more fitting this week than at Peter Pan Park, next to Costello Stadium, west Hull, as a local running club also concludes its latest Couch to 5K beginners running programme at the same parkrun event. Members of Kingston upon Hull Athletic Club have been guiding more than 100 new and aspiring runners for the last nine weeks in order to help people improve their health and fitness, make new friends and achieve their personal goals. Participants have gradually built up the amount of time they are able to run for, week on week, and this Saturday’s 5km parkrun will mark the culmination of their efforts. “Couch to 5K is a great way for people who are new to running or who haven’t exercised in quite a while to gradually build up their fitness, and it’s done in such a way that people can go at their own pace. “The idea isn’t that people can necessarily run the full 5K at the end, but that they can complete it confidently and in a way which suits them, and that matches the general ethos of parkrun, that it really is for everybody. “This is the third year in which Kingston upon Hull Athletic Club has run the Couch to 5K programme and in that time, we’ve supported more than 500 people and seen it have a huge impact on people’s health and well-being. We’ve seen people lose weight, increase their fitness, improve their mental well-being as they take some time for themselves, make new friends; it’s even helped one runner to identify a health problem which may otherwise have gone undetected for much longer.